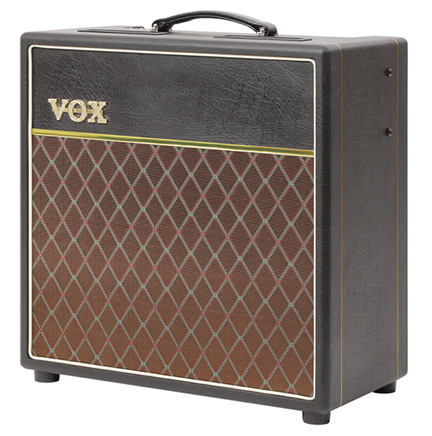 Introduced to commemorate the 60th anniversary of Vox in 2017, the AC15HW60 and the AC30HW60 are the first Vox amps to be manufactured in the UK since 2003. The images shown above and at left illustrate the design and features of the AC15HW60. With it's steel base, aluminum upper section and slider board, the AC15HW60 chassis closely resembles the original AC15/4. The AC15HW60 features point-to-point hand-wired construction and closely follows the original AC15/4 circuit design from JMI schematic OA/031. The Normal channel of the AC15HW60 uses an EF86 preamp tube and the Vib/Trem channel includes the entire original Vibravox circuit. Vox even includes an original style "egg" foot switch sourced from North Coast Music. Like the original JMI Vox AC15/4, the 15 watt AC15HW60 power amp section is powered by two cathode biased EL84 tubes with no negative feedback. 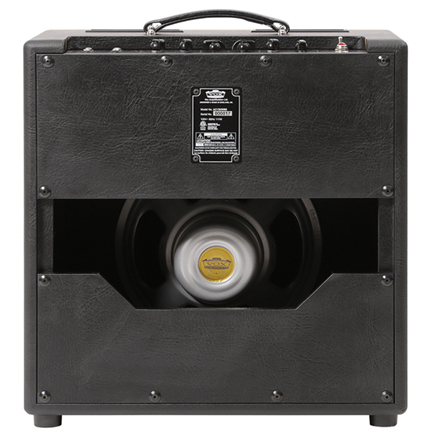 The AC15HW60 also features a UK made Celestion G12 "Alnico Silver" speaker with a Miller H1777 cone. 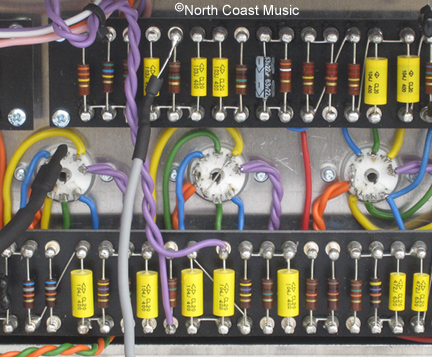 Dimensons: 21" x 10.94" x 22.64"
Why buy your new Vox AC15HW60 Amplifier from North Coast Music? Have you heard about shipping horror stories from other stores? We overpack every AC15HW60 ampliifier prior to shipment over and above the manufacturer's packaging. No loose grill cloth or rips in vinyl. Every AC15HW60 bench tested and burned in for twenty four hours prior to shipment to help eliminate potential "infant mortalities." Specifically, this test is performed in six stages, each four hours long, to further simulate real world usage.